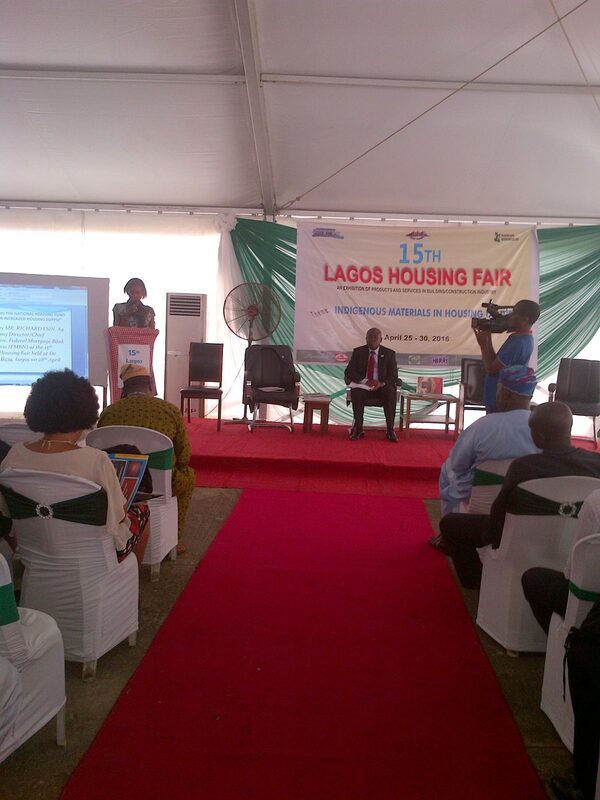 Focusing attention on local content in the provision of housing is the theme of the 2016 Lagos Housing Fair (LHF) held in Lagos. The event held which started on April 25, 2016, brought together city planners, urban experts, state officials, exhibitors, and manufacturers of local building products in Nigeria. LHF’s core objective is premised on the National Housing Policy of 2011, which aims to hasten the development of appropriate capacities to achieve sufficiency in the production of basic building materials and components of acceptable qualities from local sources. 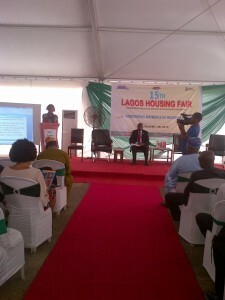 Presenting a statement at the Fair, Spaces for Change| S4C Head of Advocacy, Ms. Aizighode Obinyan, announced the commencement of the organization’s collaborative research with University College London on urban infrastructure-related displacement in Nigeria. In order to translate the research goals into action, building strategic partnerships with key stakeholders in the land and housing sector is a necessary step. Apparently, S4C’s statement gives effect to the importance of developing multistakeholder partnerships in research engagements and urban policy reform. S4C research places a special focus on documenting those productive interactions between implementing authorities and those affected by development which have yielded efficient outcomes that avoided conflict and protected the interests of the urban poor. In other words, the research will document the forms of urban infrastructure-induced displacement in Nigeria in general, as well as undertaking an in depth case study/ case studies of instances in which civil society groups and planners have successfully worked together to avoid or limit the displacement of the urban poor by infrastructure projects in specific cities. It will specifically aim to understand how state planners, urban residents and social justice groups have been able to cooperate and manage urban land acquisitions to pave way for infrastructure projects such as road construction.expansion, housing developments, free trade zones etc. . We want to understand what worked, how they did it and how to replicate those best practices across the board..
For 15 years, the Fair has been a veritable avenue to create awareness on designs and indigenous materials in housing construction.